In 1836, when George Yount established the first homestead in Napa Valley and planted vineyards in what is now Yountville, Napa Valley was mostly a wilderness inhabited by salmon, birds, bears and wildlife of all sorts. Charles Krug developed the first winery in 1861 and now there are over 300 Napa Valley wineries, many of them open to the public and worth a visit, if for no other reason than the unique architecture of these historical Napa wineries. Why are there so many wineries in Napa Valley? Basically: the weather, the soil and the people. Take a wet winter-spring, add some hot, dry and very sunny summer days with cool evenings and nurture a soil that forces the vine to struggle a bit for its nourishment and you have a perfect combination for producing the richest sort of grape! Very few places on earth have this unique combination of natural resources. 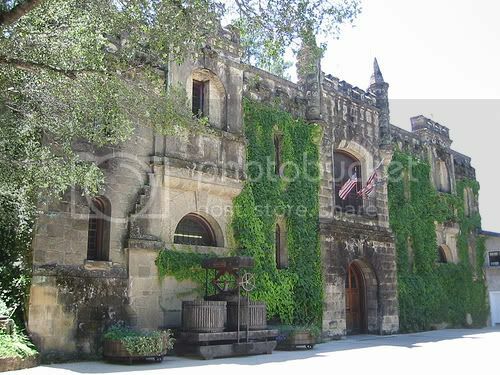 You can visit many wineries in Napa Valley without an appointment along the Rt. 29 corridor, starting in downtown Napa and going north through Yountville to Calistoga and beyond. Don’t overlook the Silverado Trail, which runs parallel to and east of Rt. 29, and also passes many fine wineries. A wonderful loop can be created by going out on Rt. 29 and back on Silverado. You can find a link to a pdf Napa Valley wineries map here to help you plan your visit. Our favorite part of winery-crawling is the tours of the vineyards themselves, the crushing area, the bottling plant, the cool wine cellar where wine is stored and, of course, the tasting room. As you enjoy the tours, be sure to absorb the family stories, the unique blends of each wine, the business issues involved in running the winery, and the pride and heritage still represented in each glass you enjoy. Last, don’t overlook the non-wine parts of some of these vineyard tours: several house wonderful antique collections; other Napa wineries offer fabulous art and sculpture on their grounds; one has replicated an Italian castle on the site (Castello di Amorosa); another is fashioned to evoke the design of the ancient Persian city Persepolis (Darioush); and many wineries combine their experiences with a culinary component. Napa Valley wineries truly offer something for everybody! 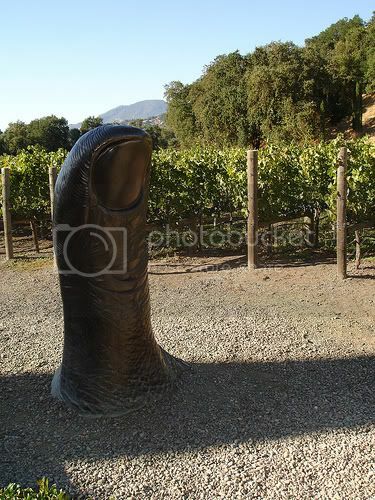 Photo of Napa Valley winery Chateau Montelena by naotakem via flickr (Creative Commons) and Photo of Napa Valley winery Clos Pegase sculpture by lyng883 via flickr (Creative Commons).